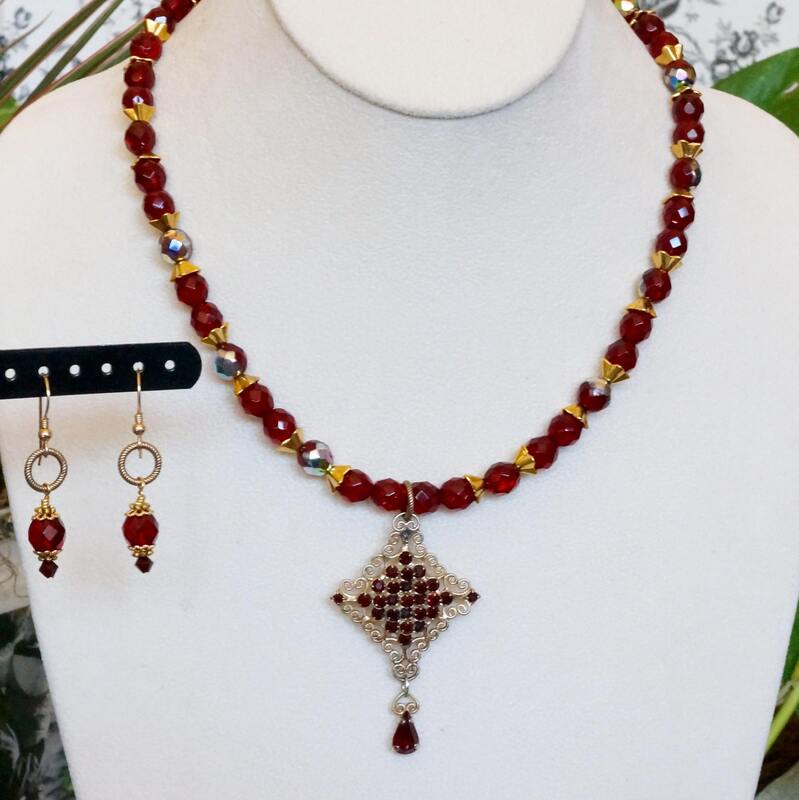 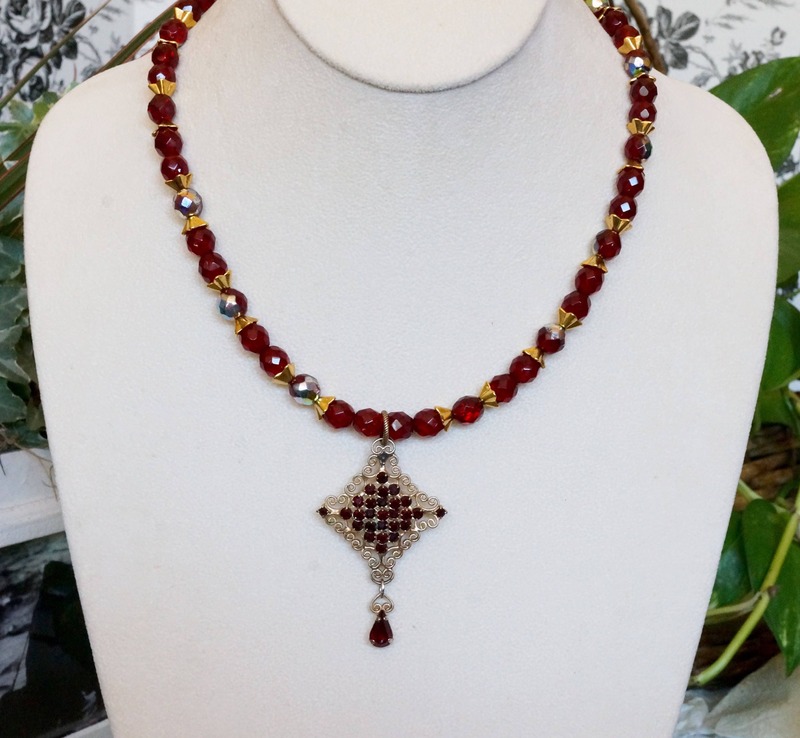 Here you have a ruby colored necklace made with a repurposed vintage Hobé brooch turned into pendant. 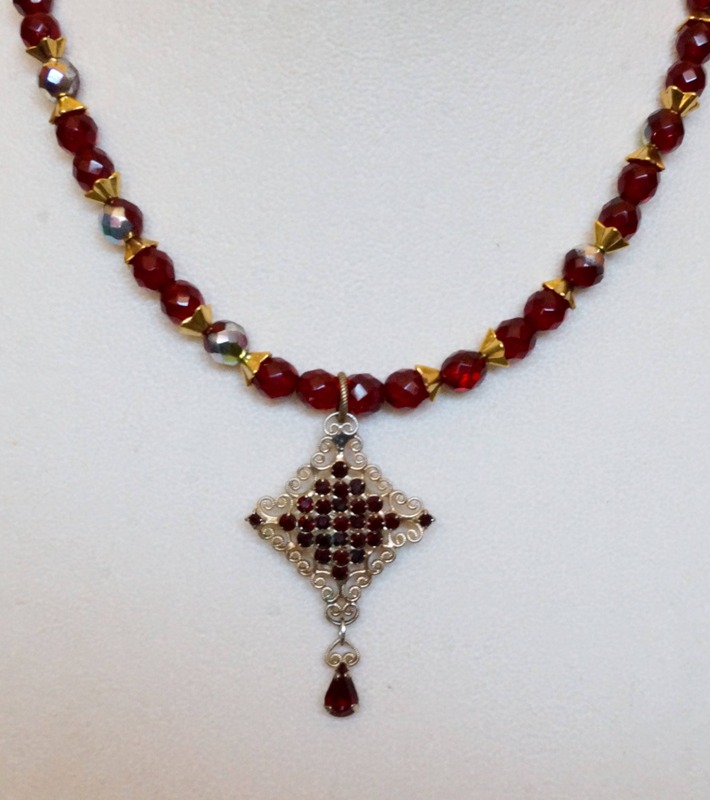 It is gold colored with ruby rhinestones. 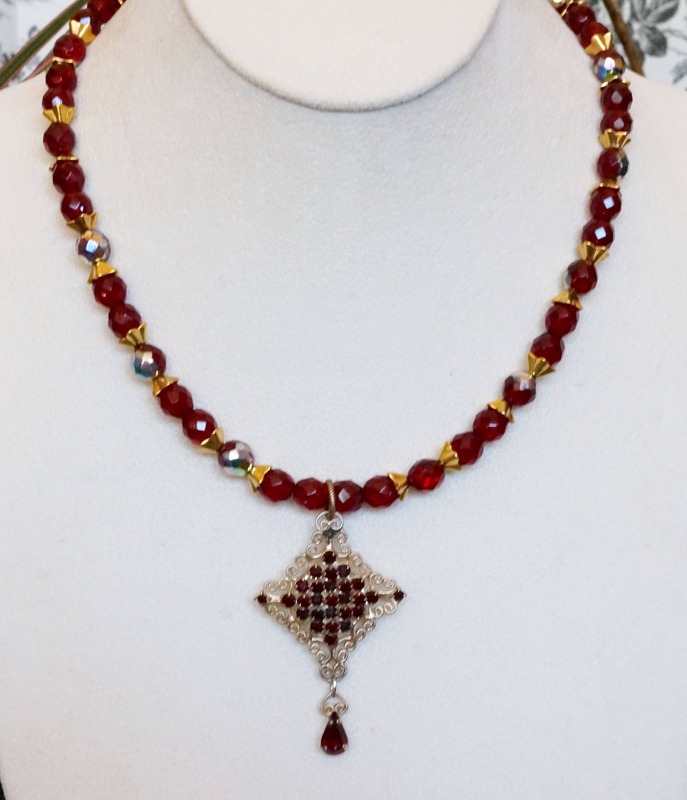 The necklace part is made of Czech crystal beads, with gold metal spacers. 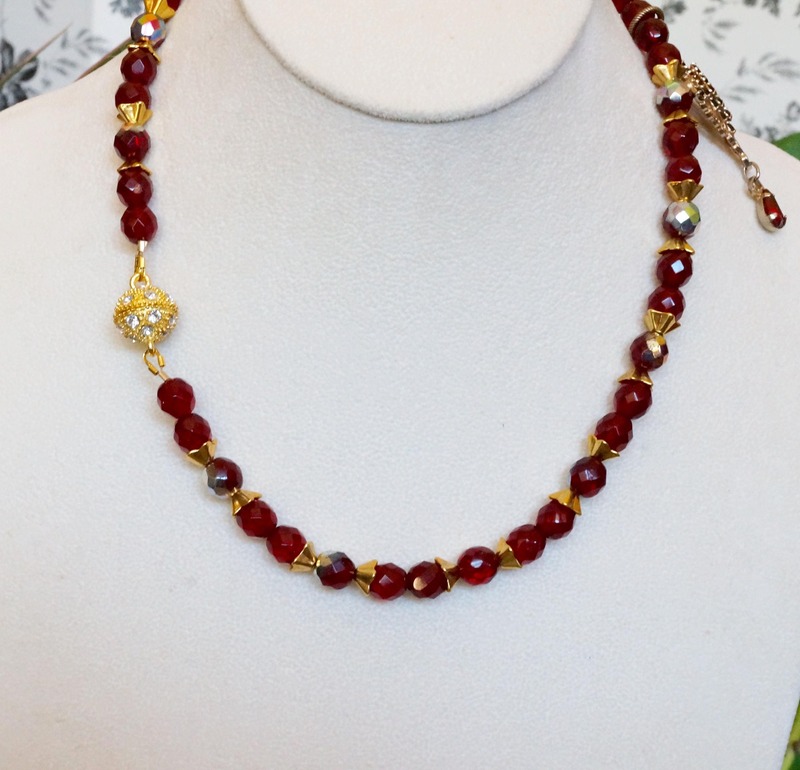 It all comes together with a gold rhinestone magnetic clasp. 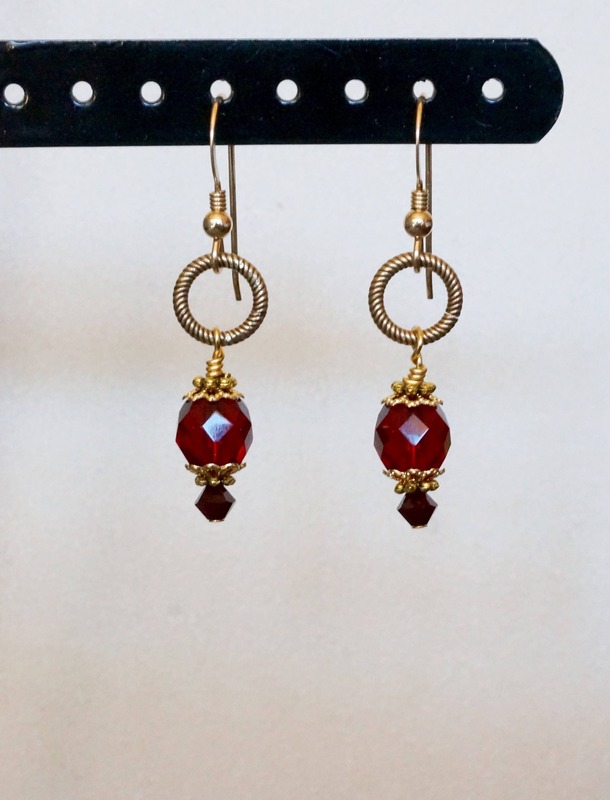 The earrings are also made with the Czech crystals, and tiny Swarovski bicone beads, hanging from gold earring hooks.